With a beautiful lake as the centerpiece of these spacious homesites, you will love the nature-filled surroundings of living in Arcadia. Homesites are large enough to fit a pool, so you can get ready to plan a fun BBQ in the backyard! Visit usand tour our beautiful model home, the Hernando! With 3 bedrooms, 2 baths and a 3-car garage, you'll enjoy the space and comfort this home provides. Come see for yourself! Sunrises nothighrises!Vero Beach is a quiet and sophisticated coastal town. It's a breath of fresh air,and if a culturally vibrant quality of life appeals to you, look no further. We're excited to introduce Arcadia, located in the heart of Vero Beach, the jewel of the Treasure Coast. 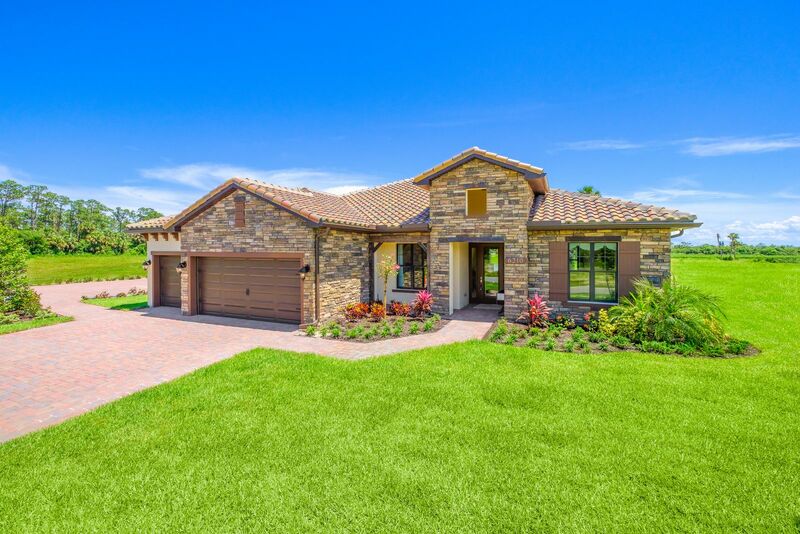 This upscale community offers you lakeside,oversized homesites that amplify the location, space and privacy you have been dreaming of, but without the high HOA fees. If you're looking for single-story living with large homesites that provide plenty of room for your own pool, Arcadia is where you belong. No need to pack a towel and sunscreen for a trip to the community pool, you can relax privately right outside your back door.. And, for more recreation,Vero Beach provides the best of Florida shopping, restaurants, the arts, and entertainment. Schedule your private tour today!